In general, probiotics help when dealing with digestive problems. This is because they promote the growth of beneficial bacteria in the stomach. Simply put, probiotic yogurt helps the digestive system work better and faster. This makes it extremely helpful when treating constipation and makes it easier for you to use the bathroom. 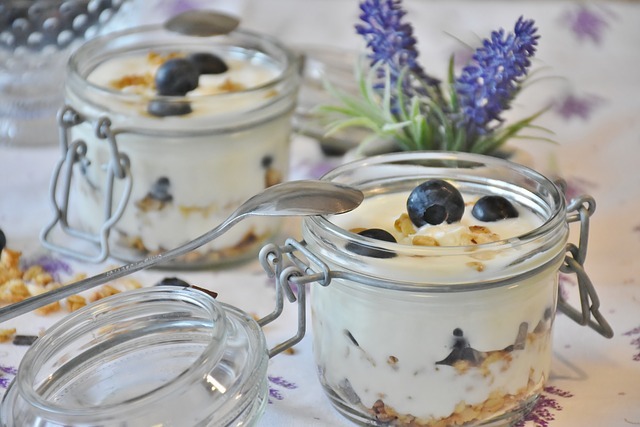 You can incorporate yogurt into your diet by swapping it for milk and having it with cereal, granola or oats. You can even have a cup of yogurt for a snack instead of chips or candy.